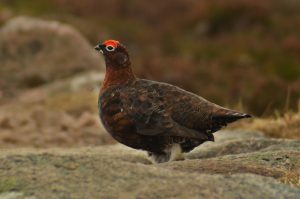 Home › Articles & Blogs › Black Grouse – Can Consumer Choice Influence Conservation? Black Grouse – Can Consumer Choice Influence Conservation? To see a group of male birds displaying at a lek, posturing and emitting their characteristic bubbling calls to attract the attention of the hens nearby, is to witness a true wildlife spectacle. Black Grouse are one of Britain’s most endangered birds, a “red listed” species of high conservation concern. 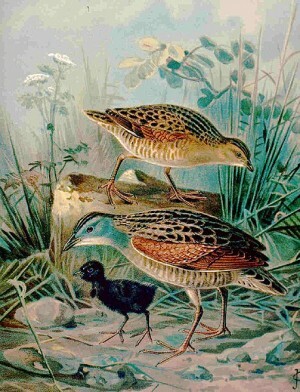 They are a must-see species, as they are one of only three birds in Britain to display lekking behaviour. To see a group of male birds displaying at a lek, posturing and emitting their characteristic bubbling calls to attract the attention of the hens nearby, is to witness a true wildlife spectacle. In the past 15 years, their numbers have decreased by 80%, and only 5000 displaying male birds were recorded during the last census. The cause of their decline is a combination of factors. Black Grouse require a mosaic of habitats to survive; for example, they need tall vegetation for shelter, shrubs such as heather and bilberry for food, and wet flushes containing invertebrates for the chicks to feed on. Agricultural practices have changed the landscape – rough grazing land has been altered to encourage rye grass at the expense of shrubs so that increasing numbers of sheep can graze, land is drained which reduces invertebrate numbers, and as commercial forestry plantations mature, heather and other shrubs disappear as they cannot tolerate deep shade. Deer fences can also cause significant adult mortality. 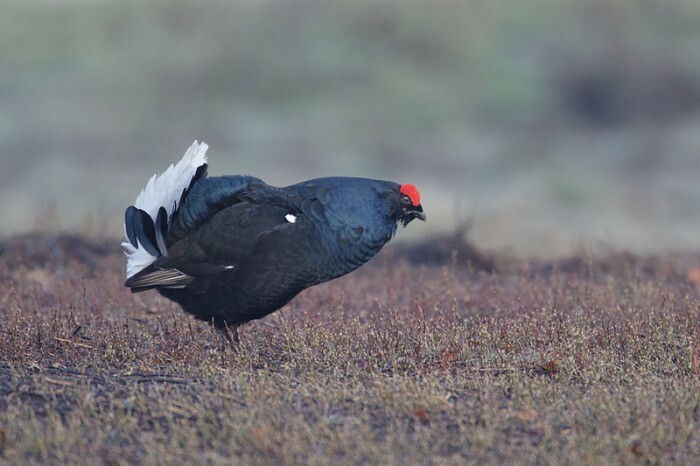 This means that there is no single conservation measure that can help Black Grouse populations to grow; habitat management must occur over vast areas, and specific problems facing the birds will differ from region to region. The RSPB have come up with a novel way to generate more money for the conservation that the Black Grouse so desperately need. They have teamed up with whiskey producers The Famous Grouse, who have created a brand new whiskey called The Black Grouse. Fifty pence from each bottle sold goes directly to the RSPB to fund black grouse conservation, such as vegetation improvement and UK wide surveys. Also, four sites throughout the country have been chosen for funding specifically to help Black Grouse. This is a great example of a conservation organisation collaborating with an outside agency to generate publicity and funding for conservation. It also means that consumers can help secure the future of an iconic British species, simply by choosing what goes into their shopping basket. 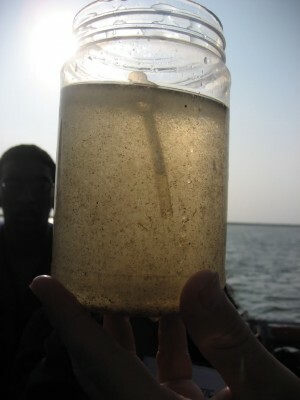 It comes down to a chain reaction: as the sea has warmed, plankton communities have shifted north, radically changing the species composition of the North Sea. Between May and July this year, the survey recorded 1,289 calling males – its highest population since records began. 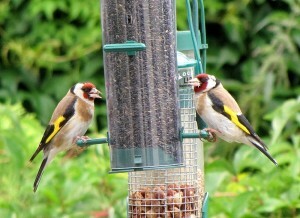 This weekend (26-27th January) the big garden bird watch will be taking place throughout the UK. It’s a national survey carried out by you and me and is organised by the Royal Society for the Protection of Birds (RSPB). The European commission now look set to begin a full infraction procedure over what it sees as a direct breach of the EU habitats directive with the UK failing to protect its vulnerable blanket bogs.